In order to gain access to Cydia on a device iOS 8.4, you need a computer c OS X Yosemite. The procedure for downloading the store on the iPhone and iPad is performed automatically. Step 1: Install the latest version PP Jailbreak for OS X, click on this link. You should also download the new iTunes this page and check that the program detects the iPhone or iPad. Step 2: If you use a password on a device, it should go to the section Password / «Touch ID and password" and turn it off. Step 3: Navigate to iCloud -> Find and turn off the iPhone service Search iPhone. Without this PP Jailbreak will generate an error. Step 4: Turn on your device Airplane. 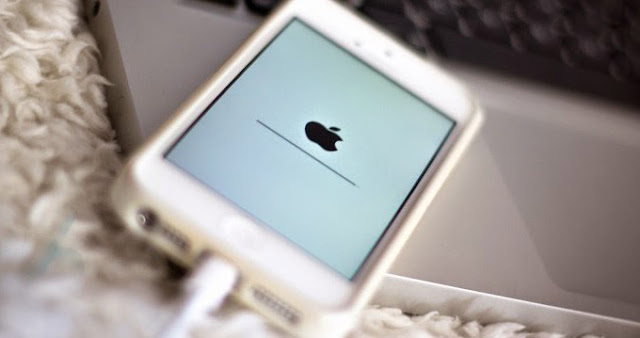 Step 5: Before you continue, connect your iPhone or iPad to the Mac, open iTunes and back up the data. Step 6: Open the PP Jailbreak, after saving utility in the Programs folder. If the operating system has blocked an application, go to Settings -> Privacy and Security tab and enable the use of basic software downloaded from any source. PP Jailbreak determine your device model. Step 7: Click the big button in the center of the screen. PP Jailbreak warn that you need to turn off the Find My iPhone and Touch ID. If the device is updated "over the air", it should be re-reflash. To do this, you need to download iOS 8.4 and install the IPSW-file to your device using iTunes. If your device meets all the above items, click Continue, continue to jailbreak iOS 8.4. Step 8: PP Jailbreak proceed to jailbreak iOS 8.4 on the Mac. Step 9: Wait. The process will take about 5 to 10 minutes. A green check mark will mean the successful implementation of the jailbreak iOS 8.4 - iPhone can be disconnected from the computer. After restarting your desktop smartphone icon will appear Cydia.